Another Thursday is upon us and I have my weekly review of the comics I felt like reading. 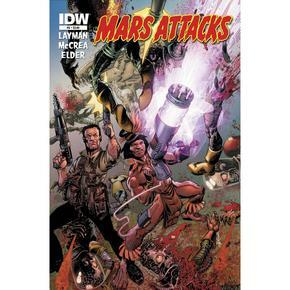 This week featured the end of the first arc of John Layman's Mars Attacks, a new volume of Deadpool from the duo of Gerry Duggan and Brian Posehn, and Harvest build suspense before the next issue wraps up this great series. Without further ado, lets get down to business! 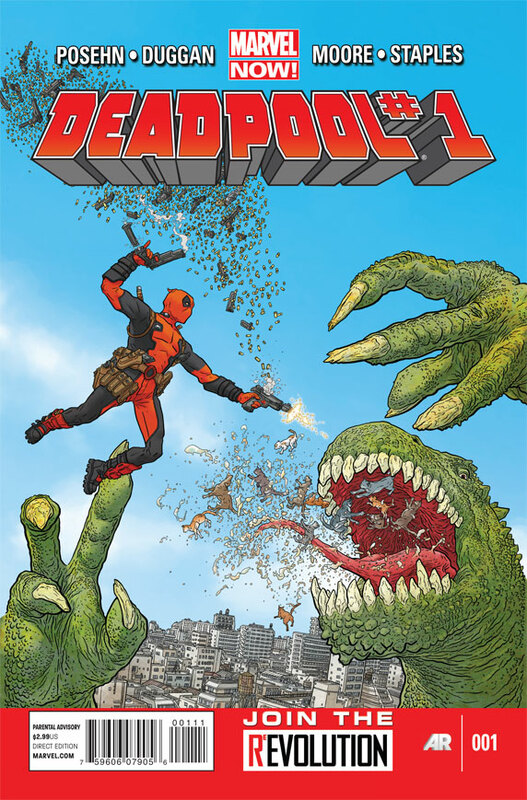 Deadpool #1 - There is a crisis at hand. A group of deceased presidents have been raised from the dead by the Necromancer and S.H.E.I.L.D. doesn't want a public relations nightmare after Captain America is photographed decapitating Harry Truman. This is a case tailor made for Deadpool. Duggan and Posehn deliver the goods and dish out the humor, the buckets of blood, and the over the top violence. The battle between FDR and Deadpool is enough to warrant purchasing this book. Harvest #4 - Ben starts his quest to reclaim organs that were sold on the black market and give them to deserving individuals who have been waiting for a transfer. The illegal organ ring is not to keen on this and end up shooting Ben as he escapes. They are hip to his plan and now he is suffering from being shot. I hope something good is planned for the conclusion next book, because things don't look too good right now. 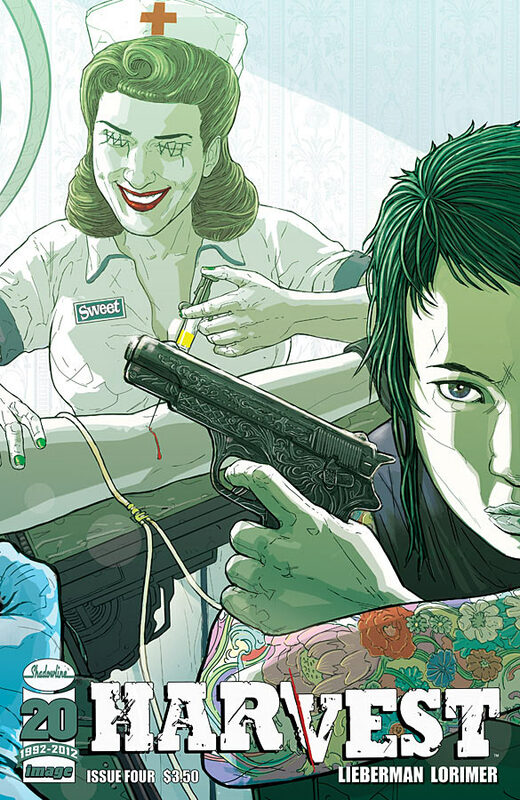 Fairest #9 - This may be the best looking book in comics right now, but I just haven't been on board for the series. I am a huge fan of Fables and the universe Bill Willingham has created, but I just don't feel that Fairest has the depth and appeal as Fables. Detective Comics #14 - We have Penguin, Poison Ivy, and are teased with Clayface at the end of this issue. Layman has another solid issue under his belt and I will continue to buy this book as long as he is writing it. Mars Attacks # 5 - The first chapter concludes and Earth is safe...for now. Zar is taken back to Mars where he is promoted and honored in the confusion of his assault on Earth. With his new access to resources and his new title, Zar is biding his time until he can organize another attack. This has been a fun arc to read. Creator Owned Heroes #6 - Darwyn Cooke is introduced to this ongoing series from Image. With Creator Owned Heroes, you are treated to a series of mini-comics and some insider knowledge about the comic industry. Based on this issue I may have to back track and pick up #1-5. Before Watchmen: Moloch #1 - I decided to go back and try another Before Watchmen comic and found this title pretty enjoyable. While not the most original origin story, it was entertaining to learn about Moloch as a child and how he became such a demented individual. I will be back for issue #2.